Gearing up for the October 19th release of new album Let There Be Cello, 2CELLOS announce dates for their 2019 LET THERE BE CELLO TOUR, set to kick off February 5 in Seattle, WA. Known for their electric live performances, 2CELLOS have played to audiences across the globe and most recently sold over 150,000 tickets on their 28-date U.S. SCORE tour in 2017. Tickets for the tour will be available to the general public this Friday, September 28th at 10am local time. The latest news arrives just before the release of 2CELLOS’ newest album Let There Be Cello on October 19 via Sony Music Masterworks. A follow-up to the 2017 release of Score, Let There Be Cello finds the pair exploring a diverse catalogue with their signature boundary-breaking playing style. The collection includes their take on everything from the latest pop hits (“Perfect” by Ed Sheeran, “Despacito” by Luis Fonsi) to hard-hitting rock songs (“Eye of the Tiger” by Survivor, “Seven Nation Army” by The White Stripes) to celebrated classics (“Imagine” by John Lennon, “Hallelujah” by Leonard Cohen) to never-before-heard original compositions (“Concept2,” “Cadenza”) for a listening experience unlike any other. Preorder for the album is available everywhere now. 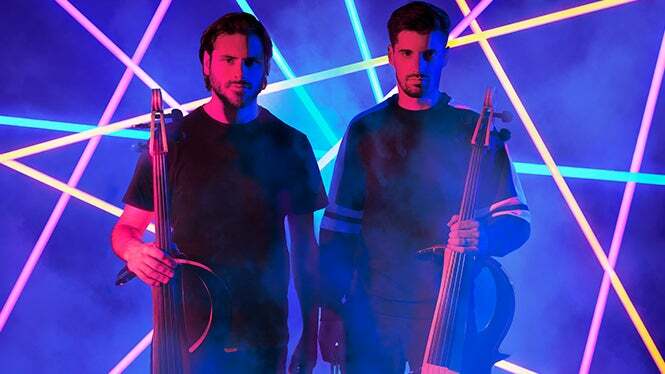 An international sensation since 2011’s rendition of Michael Jackson’s “Smooth Criminal” reached video viral fame on YouTube, Croatian cellists Luka Sulic and Stjepan Hauser, together known as 2CELLOS, have since created a name for themselves with their electric and dynamic playing style. Having amassed over 1 billion streams globally and 750 million YouTube video views in the years since, 2CELLOS have taken the cello to unimagined heights as their signature style breaks down the boundaries between genres of music, from classical and film music to pop and rock. The release of Let There Be Cello marks 2CELLOS’ fifth studio album in the wake of their 2011 self-titled debut, IN2ITION, Celloverse and Score, all available on Sony Music Masterworks. Show Date/Time: Wednesday, February 20 at 8pm. Doors open at 7pm. On Sale Info: Tickets on sale Friday, September 28 at 10am at the Target Center box office, online at TargetCenter.com or by calling 888-9-AXS-TIX.